A quick guide to cutting-edge green gadgets for eco-warrior families looking to save on energy, boost efficiency, and reduce the carbon footprint of their home. When the power fails in any modern home, life as we know it grinds to a halt. Timmy can’t do his homework on his tablet, Mom’s dinner recipe on Food.com disappears, Sarah’s music recording fails to load to Sound Cloud and Dad can’t do his report research. 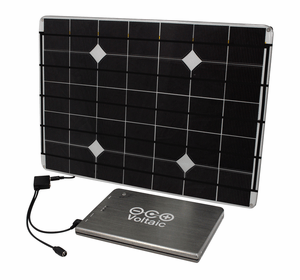 Unless of course you own the 16.8-Watt Voltaic Solar Charger Kit capable of charging your laptop, tablet, camera and multiple cell phones all at once. Light and portable, this nifty kit is handy for outdoor emergencies too and makes a great guy-gift if you are looking for something for ‘he-who-has-everything’. When Eskom lets you down, don’t get mad, let Rukus do the talking. 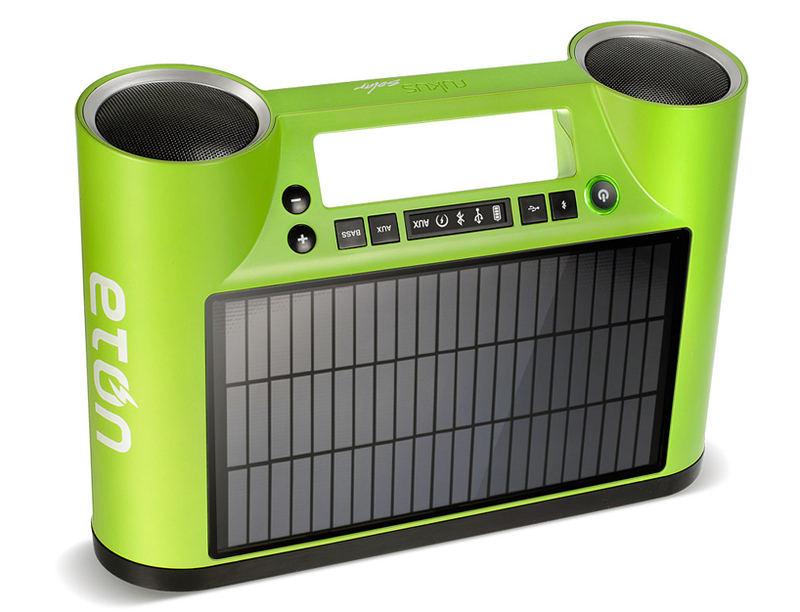 This stylish Bluetooth speaker system uses the sun’s power to recharge its lithium battery. Fully charged in six hours or with an AC adapter on cloudy days, the device offers an integrated USB port to recharge any other device as well. Stream music from any Bluetooth enabled musical device and enjoy the pleasure of sound whether sharing garden-party beats or listening to your favourite sleep mediation app. It’s said that people who read a lot are more likely to be successful. Ipad’s Kudo and Kindle’s SolarKindle offer extended story time hours with the family with the help of their solar-powered covers. On sunny days the solar panels automatically pick up charge and store it in the reserve cell meaning the devices can be used for days at a time. 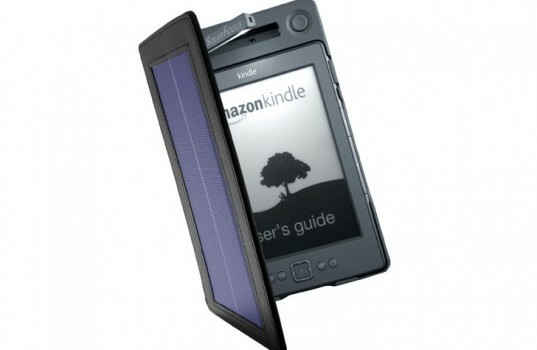 SolarKindle’s built-in reading lamp can work for 50 hours at a stretch too without calling for a recharge, while the Kudo’s photovoltaic ink technology can convert both indoor and outdoor light into useable energy. 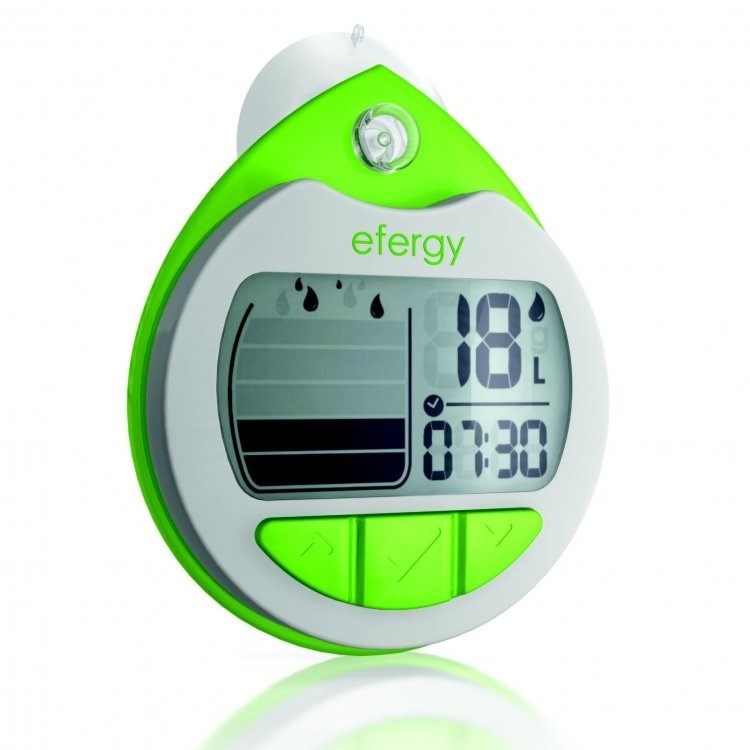 A simple gadget to help you save water, the Efergy Shower Timer can be set to beep when it is time to get out the shower. Especially handy for large families or when there are multiple teenagers in the house, the Efergy saves on energy bills as well as water consumption. Simply calibrate the time, press ‘start’ when you get in the shower and get notified with a beep when to get out again. The recommendation is to only use 35 litres of water when having a shower, so the timer automatically calculates how long that will take and encourages everyone to get out of the bathroom quickly, making it especially useful for the mad morning rush. When teaching kids to conserve energy, positive reinforcement is your best approach and the Tio light switch system is here to help you. 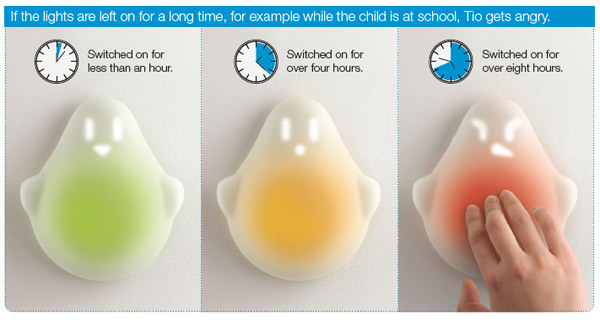 A fun, interactive toy for little ones, the Tio teaches kids that it is cool to turn off lights when we don’t need them. When lights are left on too long, Tio lights up red and frowns; when the lights are left on for only for a short time, Tio smiles and is green. Use Tio to get all your family members involved in keeping the home’s electricity bill in the green. A heavyweight in the eco green class, the Wagan tech is a portable solar powered generator for AC electricity gadgets without the noise or sound of petrol generators. 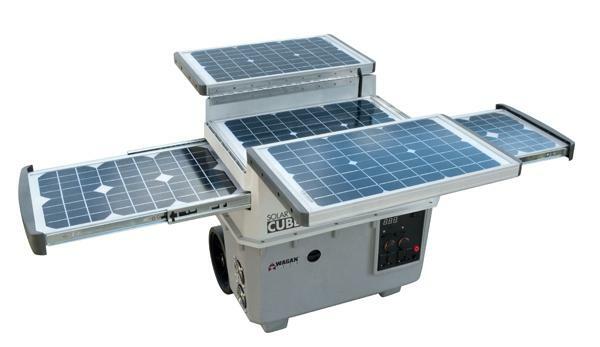 Using simple plug-and-play technology, its compact housing on wheels contains solar panels, a 55 AH battery and 1,500 watt AC power inverter. Drawing 80 watts of solar charge to the on-board battery, the Wagan is built to allow for scalability and customisation, while its portability and all terrain wheels make it indispensable for your next family camping holiday. If you’ve been hoping to take a step towards living a more sustainable lifestyle and improving the running of your home, then some of the products outlined above will come in quite handy to assist the transition. Investing in more environmentally appliances may not always be the least expensive option, but it’s an investment well worth making if you care about protecting your family and contributing towards securing a healthier future for you children and the generations to come. The option always exists to insure these appliances with the necessary household cover which is available through insurers like Dialdirect and protects you in the event of accidents which in turn safeguards your financial investment. The ball is now in your court to live a greener, cleaner and healthier lifestyle.